Optimize your time and reach remote areas comfortably. Contact us and we transport you, together with your friends and bikes! 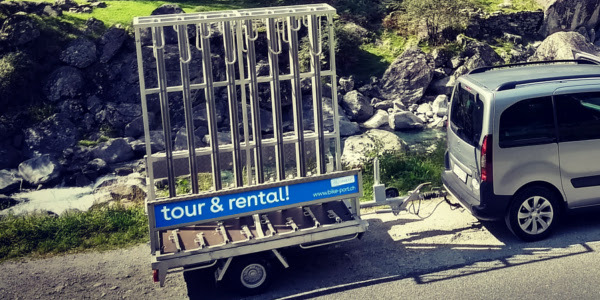 On request, we transport and deliver our rental bikes and e-bikes to a place of your choice. There is as well the possibility to just rent the trailer.